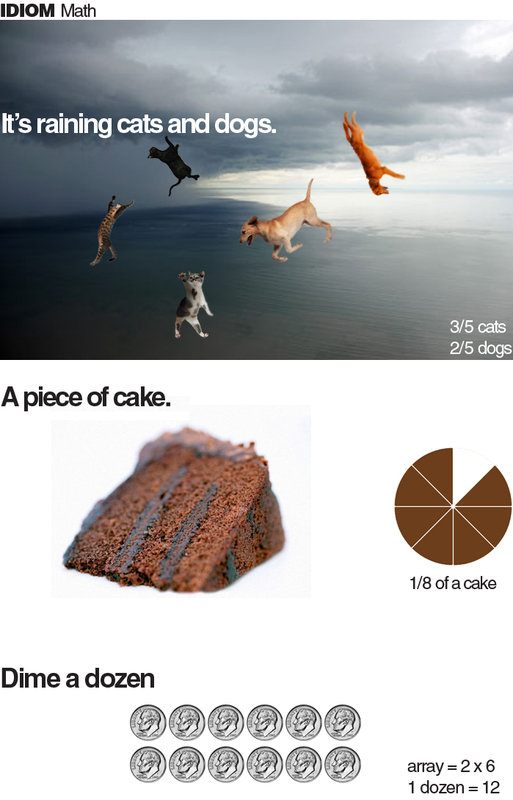 Besides figuring out the meaning of idioms, integrate math into the lesson! One jump ahead of (a frog). - write the fraction of the other animals in line. Art and writing idiom activities - Minds in Bloom and Idioms by Kids. 3rd Grade Grapevine has a free printable for kids to draw and write their idiom's meaning.